Long collected and cultivated in Asian countries for their health promoting benefits, scientific studies over the last 20 years have recognized that certain cellular constituents of edible fungi can improve the quality of human health and show promise for preventing disease. Once viewed as exotics in western cultures, some varieties of mushrooms may now be found at farmer’s markets or on grocery store shelves, while less common medicinal mushrooms may be available dried, as liquid extracts or in capsule form. Of the thousands of known mushroom varieties, perhaps we are most familiar with button, cremini and Portobello mushrooms, which deliver important nutrients including antioxidants, niacin, selenium, riboflavin, vitamin D, magnesium and potassium. To be considered functional, a food must provide benefits beyond the nutrients it contains. For their own protection, fungi have developed an arsenal of medicinal compounds. Ongoing studies and clinical trials have found or suggested that in addition to improving nutrition, medicinal mushrooms have antibacterial, anti-inflammatory, antiviral and anti-tumor properties. A rapidly growing body of evidence suggests that certain mushrooms may have an immune-modulating effect on immune compromised persons. New data showed positive effects on brain health and dementia precursors, including mild cognitive impairment and beta-amyloid peptide toxicity. Multiple clinical trials have found the anti-inflammatory characteristics to be beneficial in arthritic and respiratory conditions. Antibiotic, antimicrobial and antifungal activity – Mushrooms developed their own antibiotic compounds to protect themselves in their natural environment. Mushroom compounds that have activities against multi-resistant bacterial strains have been shown to inhibit the growth of microorganisms, including specific types of staphylococcus. Certain mushrooms contain biologically active fungal metabolites and oxalic acid shown to inhibit microbial activity. Anti-cancer – Published studies have shown that different species of medicinal mushrooms may have beneficial activity against many forms of cancer including breast, cervical, colorectal, liver, lymphoma, prostate, melanoma and others. Antiviral – Whole extracts and isolated compounds of mushrooms, including polysaccharides, water soluble lignans, and other complex molecules, have been shown to boost immune defense, inhibiting certain viral enzymes, and increasing killer cell activity. Immune response modulation – Certain mushrooms have compounds that act as immune stimulators, increasing T cells and natural killer cells, as well as supporting long-term immune enhancement. Thousands of beneficial mushroom species have been identified, however many of us know some mushrooms contain toxic compounds. As toxic mushrooms may look similar to non-toxic varieties, foraging for wild mushrooms is ill-advised. Additionally, mushrooms have the ability to absorb whatever medium they are grown in. While this ability is the source of many of their benefits, mushrooms grown in natural conditions are exposed to more contamination from heavy metals, and pollutants in the ground, air and water than mushrooms that are cultivated or organically grown. For this reason, organically grown mushrooms and extracts are highly recommended. MyCommunity by Host Defense – Save 15% This certified organic comprehensive formula contains a unique combination of 17 potent species of mushroom mycelium and fruit bodies, providing a diverse and full spectrum of nutrients in support of natural immunity. Non-GMO, contaminant free, organically grown vegetarian formula. Rei-Shi Mushrooms by Now Foods – Save 30% This combination of two specialized mushroom strains is produced from live mycelial and fruiting fungi grown in a controlled, environment in support of general wellness and vitality. Gluten, soy, dairy and yeast free, Non-GMO vegetarian formula. Mycocyclin® 6 Mushroom Mycelial Complex by Allergy Research Group – This liquid extract formula provides a blend of 6 mushrooms, harvested when active ingredients are most concentrated in support of immune and overall health. Gluten and soy free formulation. This entry was posted in Home and tagged Anti-cancer, Antibiotic, antimicrobial and antifungal, Antimicrobial properties, Antiviral, Edible Mushrooms, Edible Mushrooms – Time Honored Functional Foods, Immune response modulation, Mushrooms As Functional Foods. https://download.e-bookshelf.de/download/0000/5716/15/L-G-0000571615-0002358316.pdf, Mycocyclin® 6 Mushroom Mycelial Complex by Allergy Research Group, MyCommunity by Host Defense, Nutrition Benefits. 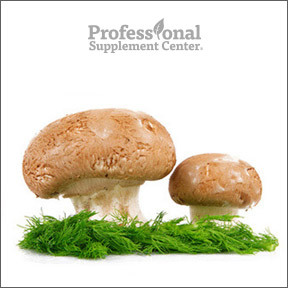 http://www.mushroominfo.com/benefits/ Edible Mushrooms As A Source Of Valuable Nutritive Constituents. http://www.food.actapol.net/pub/1_1_2006.pdf, Rei-Shi Mushrooms by Now Foods, The Science of Mushrooms & Health. http://www.mushroomsandhealth.com/mushrooms-health-report/. Bookmark the permalink.